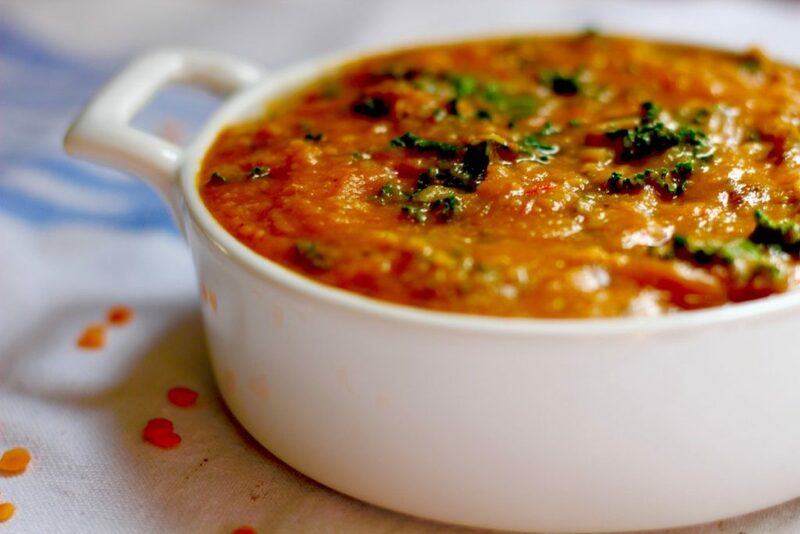 This hearty Red Lentil Curry Stew is flavor and spice served on a hot platter. 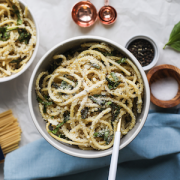 It’s the kind of dish that will have you wanting to snuggle in your couch, watching Netflix, and eating your heart out (in that exact order). It’s warm and filling with subtle coconut flavors. 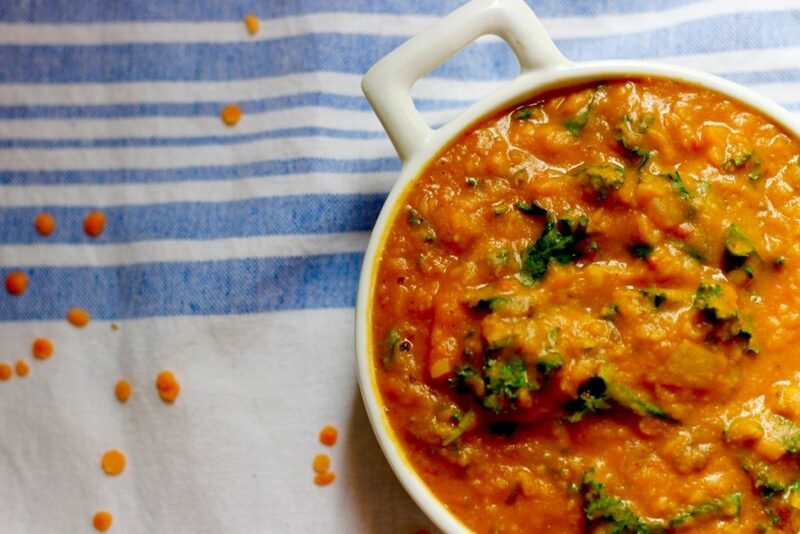 Besides being an excellent source of fiber, red lentils are rich in iron, protein, zinc and phosphorus. 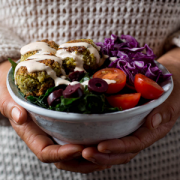 If you’re wondering what to pair this with, we recommend enjoying it on its own (I topped it with avocado…and it was delightful) OR pair it with brown rice or couscous. Lentils are a part of the big ‘ol pulse family. 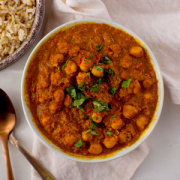 Pulses are the edible seeds of the legume family- some of the most popular ones being dry beans, chickpeas, lentils, and peas. Pulses offer a million benefits. They are a great source of plant-based protein, fiber, they have a low glycemic index (meaning they keep your blood sugars in check), they are naturally low in fat and sodium. Pulses are also a great source of folate, other B vitamins, high in potassium, iron, zinc, magnesium, and calcium – all of which play very important roles in the body. Start this puppy off by boiling the lentils and the carrots in a medium sized pot for about 20 minutes. Once this mix is all done, drain the water and add ½ the cooked lentils and carrots as well as garlic, ginger, and the red bell pepper. Blend it up until it is a nice, smooth puree. In another pot, heat your olive oil and add chopped onions, tomato sauce, and curry powder for about 2-3 minutes. 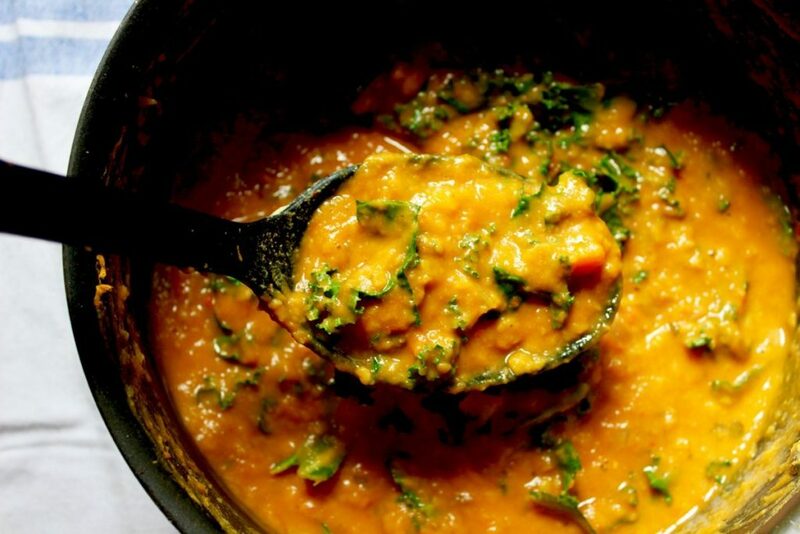 Add the blended puree and the other half of the cooked lentil and carrot mix, paprika, cumin, and coconut milk. Cook the whole thing up for about 10 minutes on low heat. Add kale and cook for another couple of minutes and add some salt and pepper to taste. Finally, this baby is ready to enjoy! 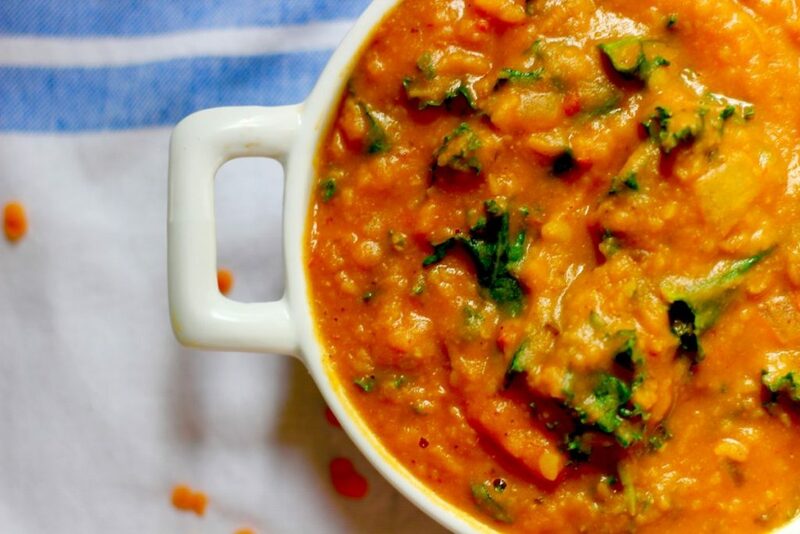 Now tell us: Have you cooked red lentils before? Let us know your favorite recipes in the comments below! And as always, tell us how this recipe came out for you. We hope that you’ll give it a try! I made this stew today and it is DELICIOUS!! I used a marinara sauce with 300mg of sodium and only felt the need to add 1/2 tsp of salt. I added a bit more than 1/4 tsp of cayenne pepper, and 1/4 tsp of black pepper as well. I will definitely be making this again. Thank you for sharing this! !